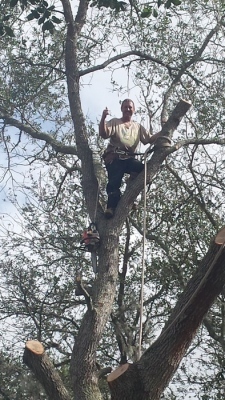 Welcome to Rucker's Tree Services - Outstanding tree services at honest, fair prices any time. If you're within a 60-mile radius from the Southside of Lake City, close to Gainsville, and are looking for exceptional tree trimming, tree removal, or storm clean-up services you can count on, you couldn't have come to a better place! Rucker's Tree Services is the trusted tree service you can rely on to provide you with the quality tree services you need at very reasonable rates 24/7. Here at Rucker's Tree Services, we are passionate about the work we do and it shows in the results we deliver. We take pride in delivering exceptional value for our customers by delivering top quality tree services which include tree trimming, tree removal, storm clean up, and managing overgrown yards. Committed to delivering highly responsive service you can count on anytime, we respond to service requests no matter the time of day or night. We respond to our clients as quickly as possible because we understand that the timeliness of our service is of utmost importance. We use only the best modern equipment to quickly and efficiently take care of our client's tree services needs. We have three trucks, each equipped with all the tree trimming and removal equipment needed to get the job done properly every time. So if you're within a 60-mile radius from the Southside of Lake City, close to Gainsville, and are looking for outstanding professional tree services you can depend on, there's only one name to keep in mind - Rucker's Tree Services! 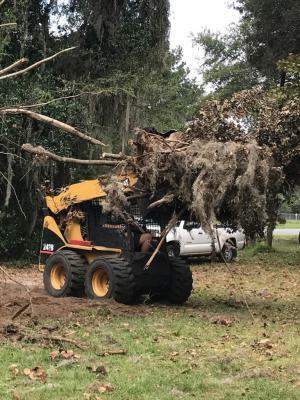 To find out more about how Rucker's Tree Services can help you with all your tree trimming and tree removal needs, please call us at 386-623-2434. You can also connect with us on Facebook. We are ready to respond to your tree services needs 24/7! Our customers trust Bobby to get the job done safely, in a timely manner and not break the bank.